Christmas is just around the corner. Do you need a gift idea for the person or group of people, like your coworkers, who you just don’t know what to buy? The legal assistants at Dawson & Sodd LLP, a law firm with offices in Dallas and Corsicana, came up with a great idea for their attorneys last Christmas. “Last December, it came time to buy the attorneys Christmas gifts and they’re always hard to buy for,” Tanya Norris, a paralegal at the firm, told KiDs Beach Club® in an interview last winter. “We talked about donating money or our time to a charity that each one cares about. We were all trying to come up with ideas of which charity to donate to. In Tanya’s 18 years with the firm, she has seen how God has blessed the people there, saying that everyone has a story on how God has made an impact in their lives. Norris gave each one of the attorneys a letter at their annual Christmas party that pointed out how everyone at the firm had been blessed. “We gave them my letter with the information from Beach Club,” Norris said. “No one really read it that night at the party. It was really in the days after when they gave us a thank you card or told us how much that meant and there wasn’t really a better gift that could have been given. Cameron received one of the 24 weekly Bibles each club passed out before the organization started Great Treasure Day this past spring in response to the generous support of donors at the 2014 Bibles for Beach Club Benefit Dinner and Auction. The gift the legal assistants gave to their attorneys last Christmas went directly toward providing Bibles for every child at Malakoff Elementary when they held Great Treasure Day last February. Cameron had already brought home his Bible last fall. It had been just a few weeks before the letter arrived from Beach Club encouraging donations for the Bibles for Beach Club program so that every child in every Beach Club can receive their own copy of God’s Word. “I think it’s wonderful. Many kids would never have a Bible otherwise,” Norris said. “There are so many kids, there are so many families that need to have Jesus. 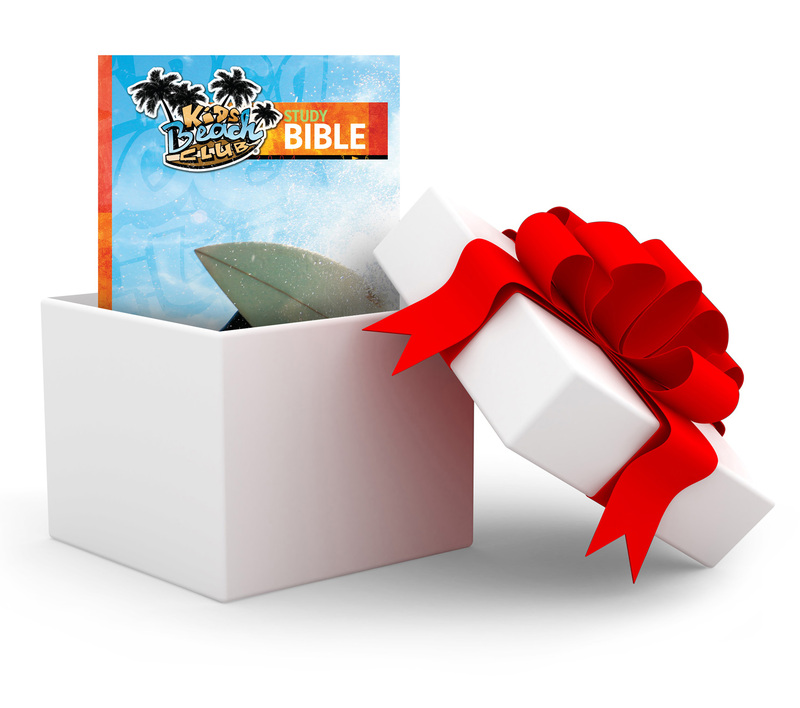 If you’re interested in giving KiDs Beach Club® Explorer’s Study Bibles this Christmas season, you can do that by clicking here.